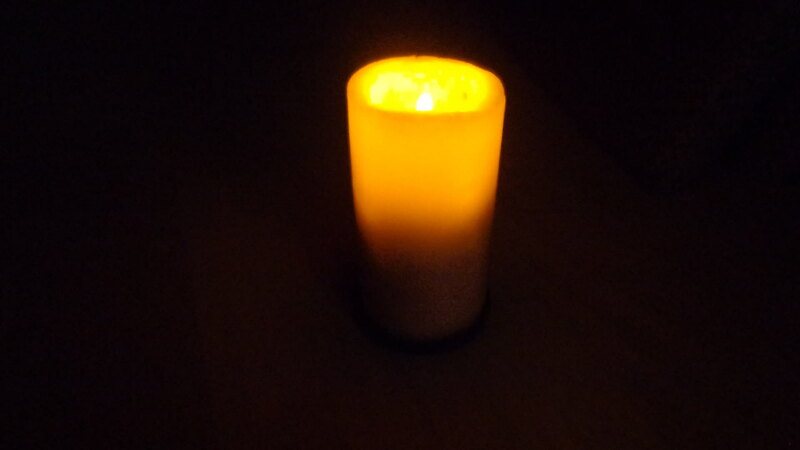 Very simple LED candle which shines only in the dark. 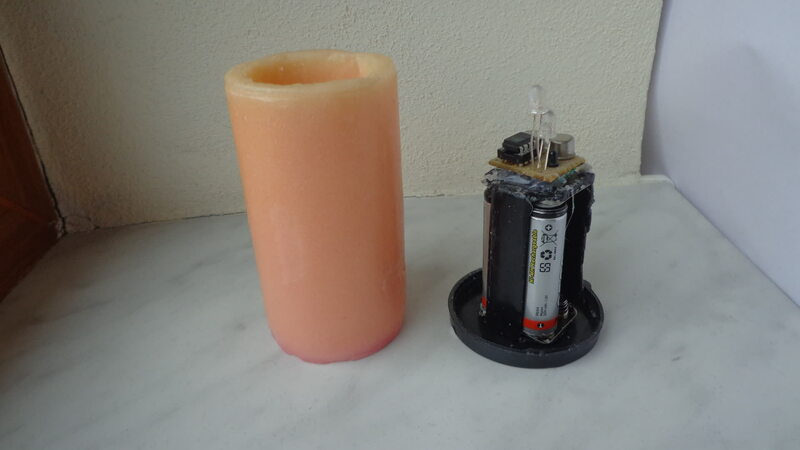 It is powered by 2 AA batteries and the flickering effect is made by an Attiny13 microcontroller. 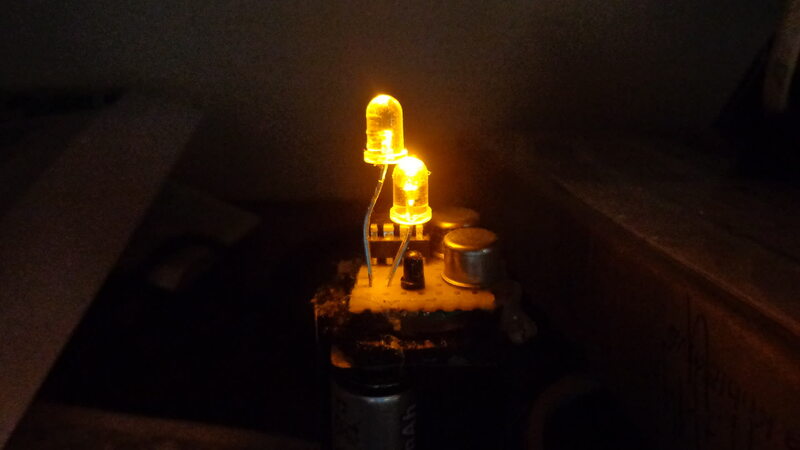 Schematics and firmware for Attiny13 are available here.